. Image by Bec Selleck. David Booth’s forthcoming exhibition Tasmanian Time Traveller will be installed in Macquarie Point’s newly built Long.House creative hub designed by Core Collective Architects. The exhibition will available for viewing from 22 - 25 March 2019. 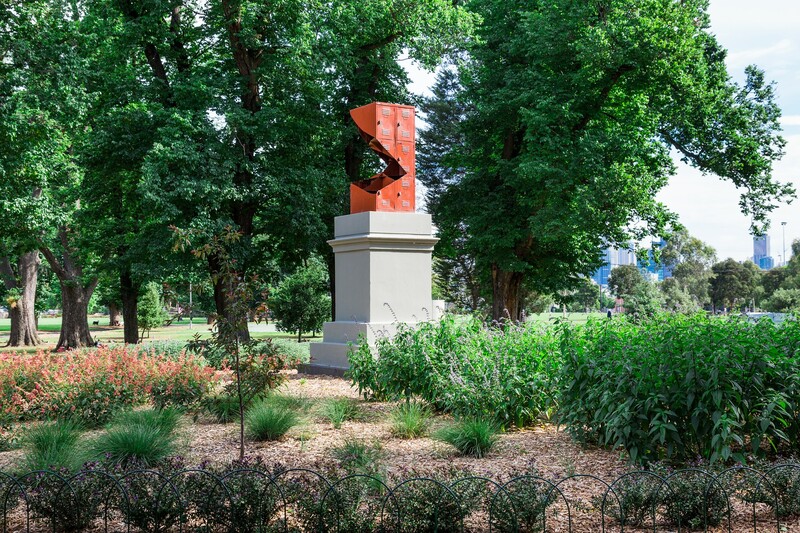 Robbie Rowlands' commissioned work Middle Row is on display in the Edinburgh Gardens, Fitzroy North, Melbourne. 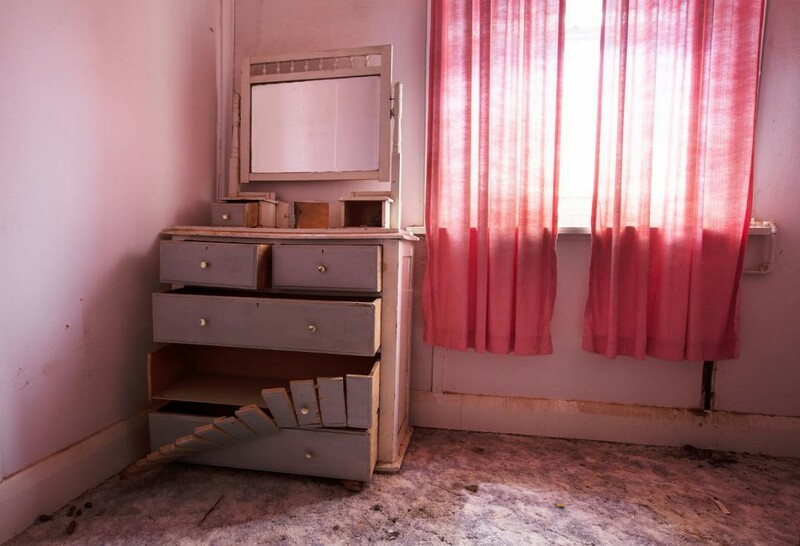 Robbie Rowlands has been commissioned to undertake a site intervention as part of the Ballarat International Foto Biennale's 2019 program which will launch in February 2019. Nadia Hernández will undertake a residency at Bundanon Trust in February, where she will develop a new body of work to be exhibited in Melbourne in April. Installation view: Nadia Hernández, Este es mi ejército (This is my army), Firstdraft, April 2018.) Image by Zan Wimberley. Mumu Mike Williams has been included in Support Structure, an exhibition that assembles the work of artists who paint in a sculptural way. Exhibiting alongside Emma Coulter, Jake Walker, Kate Tucker Louise Blyton and Sam Martin, the exhibition runs 15 November - 22 December 2018 at La Trobe Art Institute, Bendigo, Victoria. Robbie Rowlands’ Nearness is a three day exhibition at the Machinery Preservation Society as part of the Broken Hill Regional Art Gallery residency program. It officially opens 2 November from 6pm and continues through Saturday and Sunday from 11am - 4pm. Robbie Rowlands has been announced a finalist for the 2018 Deakin University Contemporary Small Sculpture Award. The exhibition runs 13 October - 25 November 2018. Robbie Rowlands has been announced a finalist for the 2018 Incinerator Art Award. The exhibition runs 5 September - 19 October 2018. 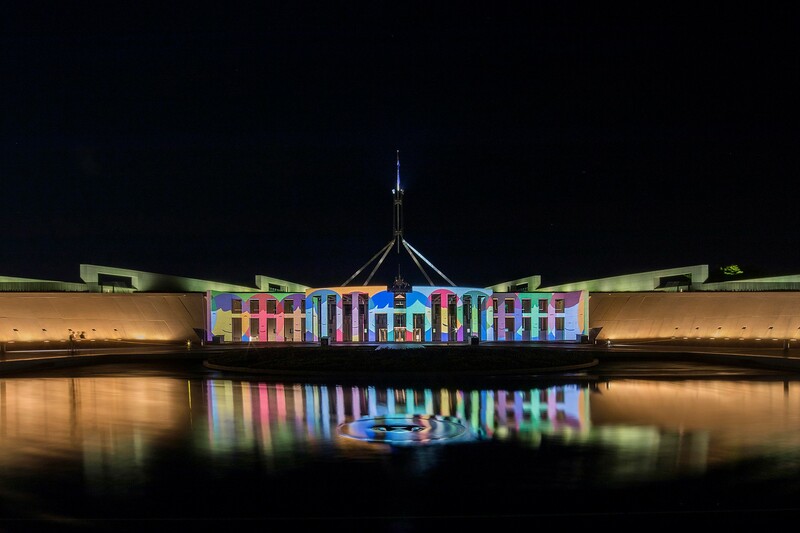 David Booth is amongst a selection of artists who have created works that reflect upon on the 30th anniversary of the Parliament House building for the exhibition Façade which runs 17 August – 21 October at Parliament House, Canberra. Ash Keating's video North Park Proposition has been acquired by the Nillumbik Shire Council. Robert Fielding's Graveyards in Between series has been acquired by the Art Gallery of New South Wales. Congratulations to Kaylene Whiskey who has been announced the winner of the 2018 Sir John Sulman Prize with her work Kaylene TV. The painting will be on display at the Art Gallery of New South Wales from 12 May - 9 September 2018. Robert Fielding and Kaylene Whiskey have been included in the exhibition ‘A Lightness of Spirit is the Measure of Happiness’ at ACCA. Curated by Hannah Presley, the exhibition will celebrate the significance of family, community and humour in contemporary Aboriginal life and feature new commissions by artists from south-east Australia and beyond and runs 7 July - 16 September, 2018. 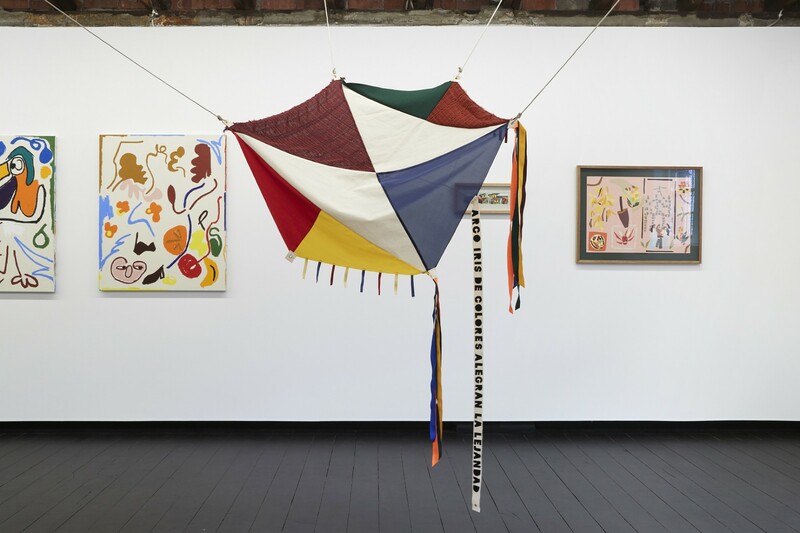 Mumu Mike Williams, Puna Yanima and Robert Fielding have been announced finalists of the Mornington Peninsula Regional Gallery’s National Works on Paper award. The exhibition runs 20 July – 9 September 2018. Robbie Rowlands is set to undertake a site based residency project in New South Wales. 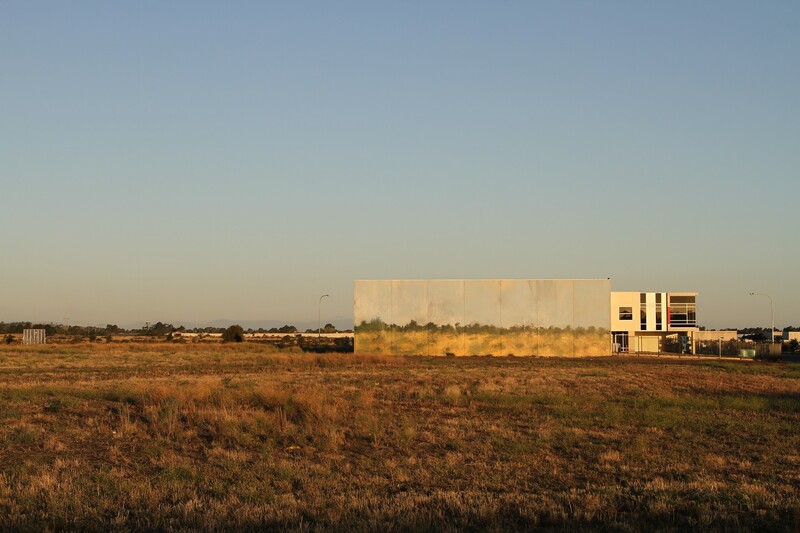 Commissioned by the City of Broken Hill, Rowlands will be exploring potential site and community based outcomes to be exhibited in the later half of the year.